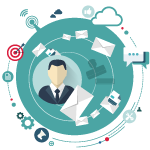 Save time and stay in touch with a personalized email while promoting your company, not your internet provider. POP3 E-mail is a customizable email account that allows you to create the name (domain name) you want and set up multiple mailboxes using your domain name, such as sales@example.com. Access your email on the web or download it to your computer, our email plans keep your inbox safe and clutter-free with a powerful, built-in protection against viruses, spam and fraud. Plus, now every e-mail you send to family, friends and business clients is advertising for your company for free! 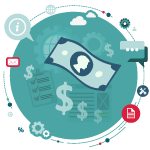 Best of all, AllCore’s POP3 E-Mail is very cost effective, an affordable solution to get a memorable, personalized e-mail address. Free e-mail accounts do not provide the same professionalism, security, and control as paid e-mail. Their web pages are often covered with advertisements and up-sell gimmicks. With our e-mail you do not have to worry about that. 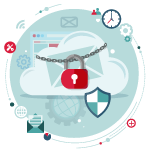 Our POP3 E-mail Hosting package includes our SPAM & Virus protection; no longer worry about opening up an E-mail that will infect your computer. Our POP3 E-mail Hosting is very cost effective for the great service and extra features. By using your domain name for every e-mail you send to family, friends and business clients; you are advertising for your company for free! Your E-mails will contain only your content, no longer deal with ads that clutter up your E-mail and inject your account with spam. Why Choose AllCore POP3 E-Mail? 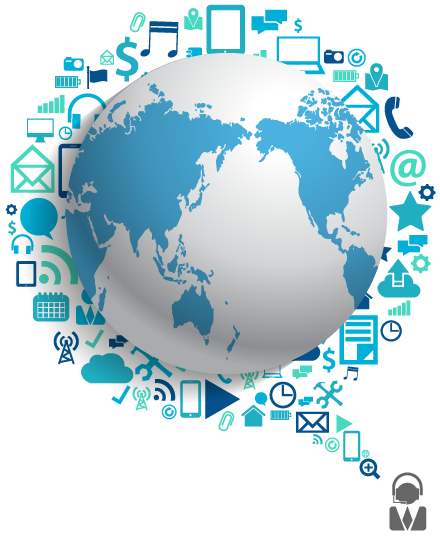 POP3 E-mail is web-based email that lets you set up mailboxes under your own domain name, and send and receive email anywhere in the world. What is the difference between E-mail Forwarding and POP3 E-mail? E-mail Forwarding redirects an e-mail written to your domain name (for example, John.Doe@example.com) to a true email box/account (for example, John.Doe@hotmail.com); any responses come from the forwarding address (in the example, the hotmail address). POP3 E-mail is a full email service: Our servers receive and store e-mails, and your responses come from your own domain name. Because of that, POP3 E-mail lends a greater air of professionalism to your business. Why is it worth paying for POP3 E-mail when I can get other e-mail services for free? Can I use my POP3 E-mail account on a mobile device? Yes, if your mobile device supports the POP3 and SMTP protocols, you can use our POP3 E-mail service to send and receive messages on your phone. We do not place a limit on the number of mailboxes per domain name. If your domain is already active on our servers, new e-mail addresses become active within a 5 minutes after they are created. If the POP3 E-mail is for a newly registered domain name, or a name that has just been moved to our servers, there is usually a delay of approximately 24 hours while the Registry processes the name server change. Are there limits on how many e-mails I can send? By default, our system limits each email address to 500 outgoing emails per day. If you need to send more please contact our technical support team and we can work with you to adjust your daily limit. Why do you limit how many e-mails I can send? 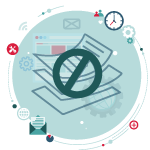 We limit the number of e-mails our clients can send in an effort to prevent our servers from being used by SPAMMERS to send SPAM. We realize that most people will never be effected by this limit, but it prevents a SPAMMER from stealing an e-mail account or from buying an account from us and causing lots of trouble for our clients. You can send and receive attachments up to 10 megabytes in size. If your email is under 10 megabytes but an error states it is too large, it is likely the transport encoding has increased the file size over the limit. There may be additional restrictions imposed by other e-mail services that you are sending the e-mail to. Our POP3 E-mail account come with 1GB of storage per mailbox.